Inner Wellness | The path toward satisfaction. I have been working on a new project over the last several weeks. Inner Wellness has had a good run but now it is time to close this chapter of my life and open a new one. When I started this blog, I was at a transition period in my life. I had just moved back to the United States. I didn’t know where my life was headed or what direction I wanted to follow. Now, I know all of those things. I have grown tremendously in the past few months, so I thought it was the perfect time for something new. 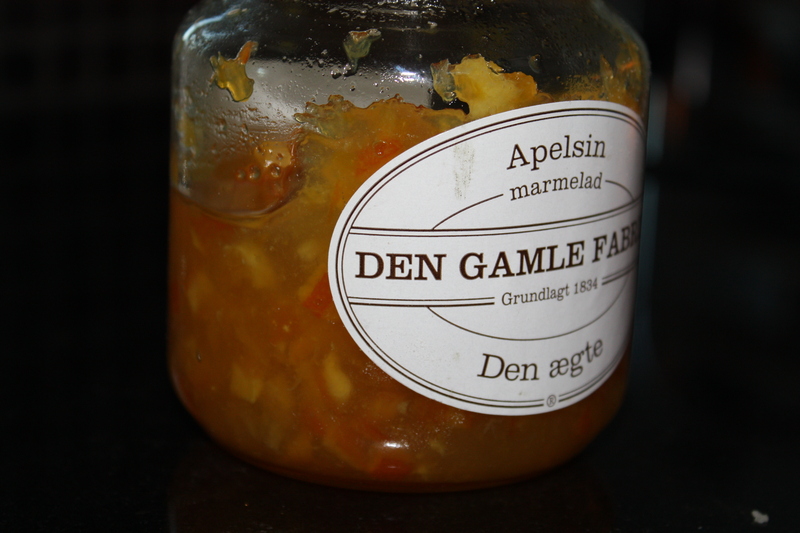 I owe it all to my friend Jesper for making my new blog possible. The gender line between fashion is getting thinner. You see men wearing more feminine clothing and women experimenting with menswear. My outfit today wasn’t really planned. I didn’t know what to wear so I was looking through the closest and I found a white shirt from H&M that Hans left here and I thought it was cute. So, I tried to bring an outfit together with it. 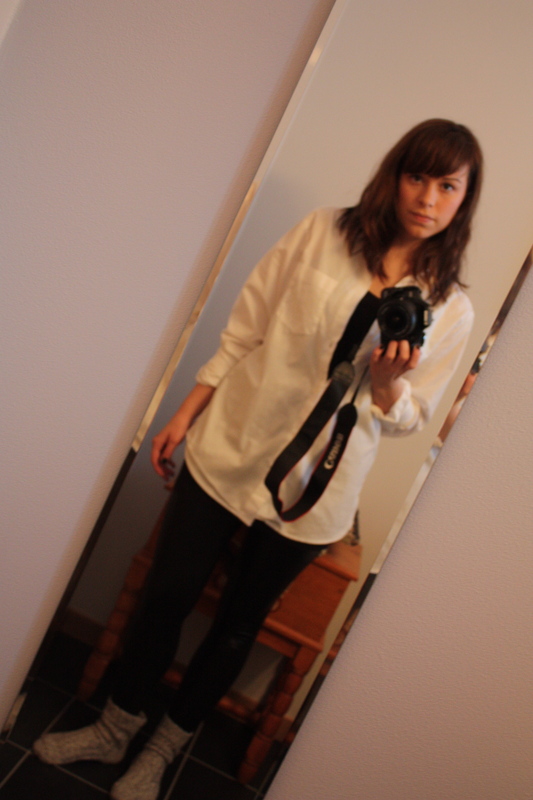 I think it works together well, I have enough feminine pieces to offset the oversized men’s shirt. Shirt- H&M menswear. Shiny leggings- Lindex. Long black tank top- Gina Tricot. Have you experimented with the “boyfriend” trend? Hans has been busy emptying out our savings account while I am away. 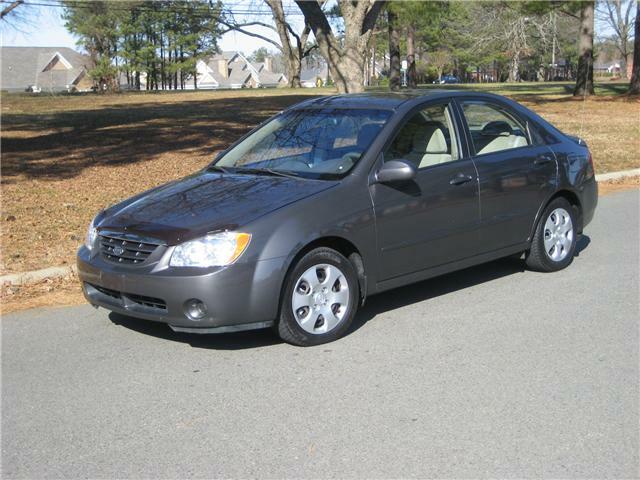 He bought us a new car!! 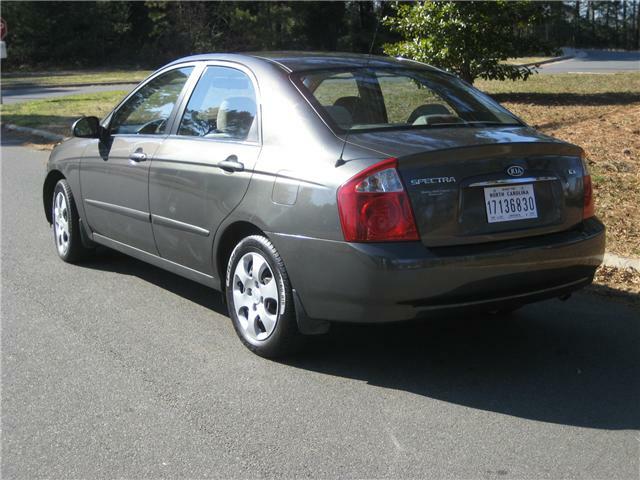 A 2006 Kia Spectra with low mileage. 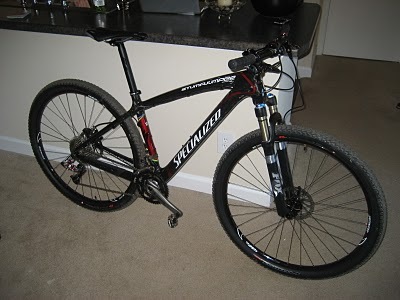 Hans also bought a new mountain bike. “The only difference between boys and men is the price of their toys.”-Hans’ life motto. 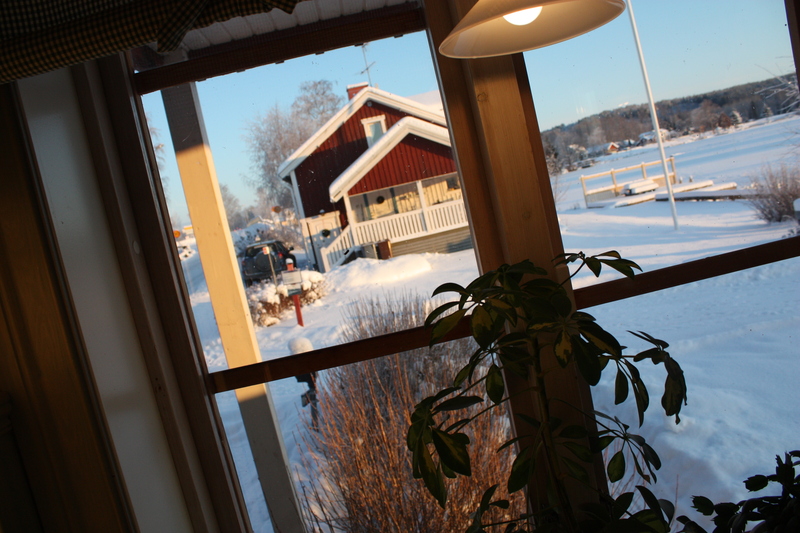 I am getting nostalgic at the thought of leaving this peaceful utopia that they call Sweden. It is hard to explain what Sweden is. But, if I had to choose then I would say peaceful and fashionable. You have no idea how freaking sad I am to leave Vero Moda, Gina Tricot, H&M and that is only a handful of the trendy shops in Sweden. 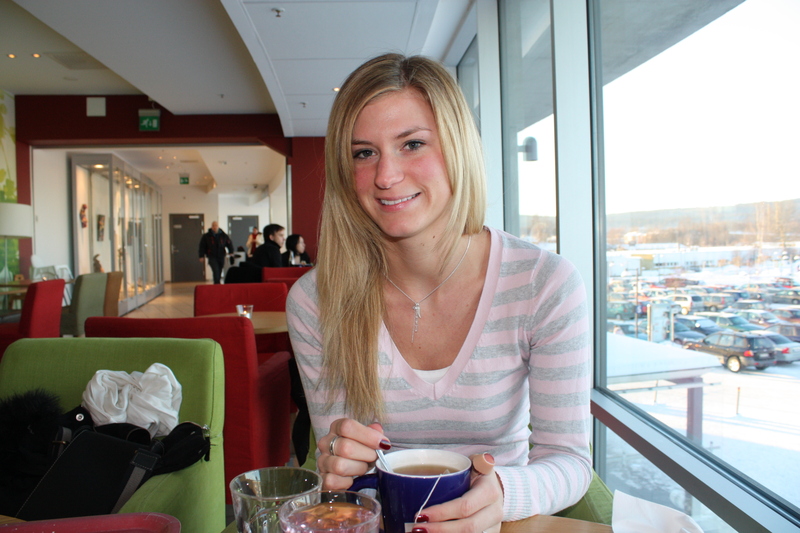 Along with Swedish chic, I will also miss my best friend and Hans’ family. If I had to explain the Swedish way of life, it would be that they value their free time much more than Americans. During the holidays, I believe most people had off from the 24th of December until around the 6th of January. My outfit for today. I look pissed but I was trying to pull of the I’m a badass look. T shirt- L.A.M.B. 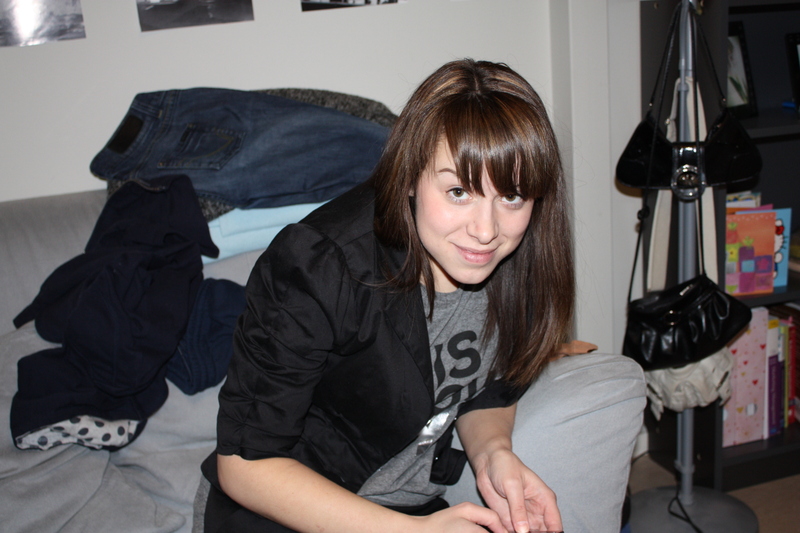 circa 2006. Cardigan- Target. 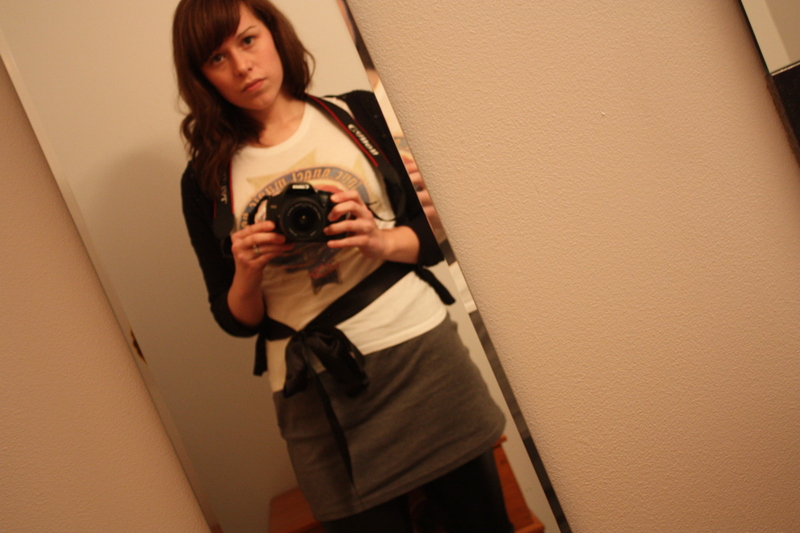 Grey skirt- Only. Leggings- Shiny leggings from Lindex. 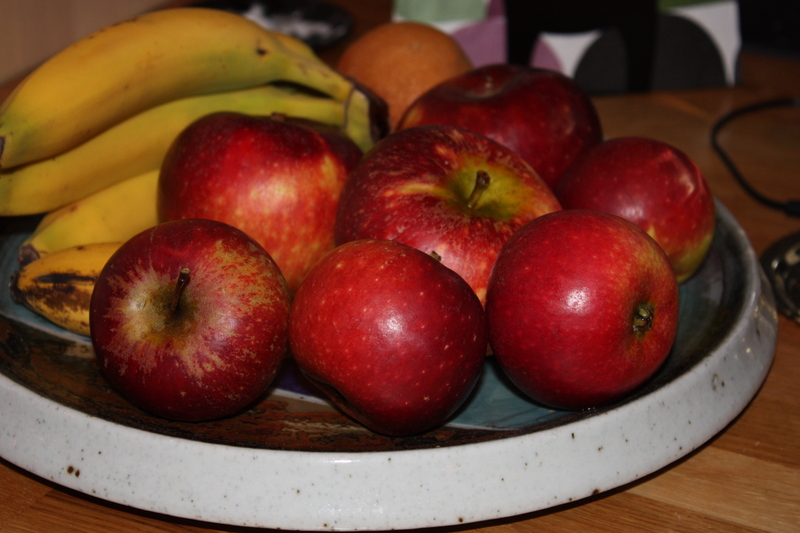 I thought I would do something out of the usual and post what I have been eating in Sweden. Breakfast- Spelt bread. 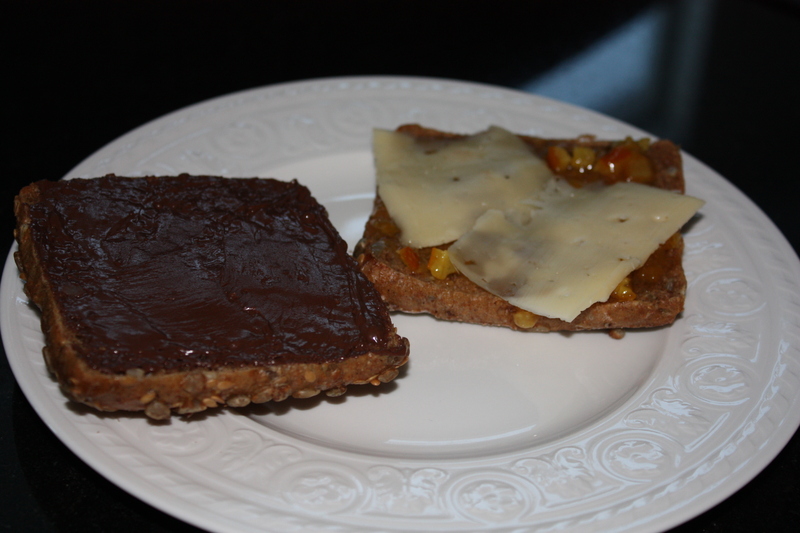 Half with Nutella and half with marmalade and cheese. 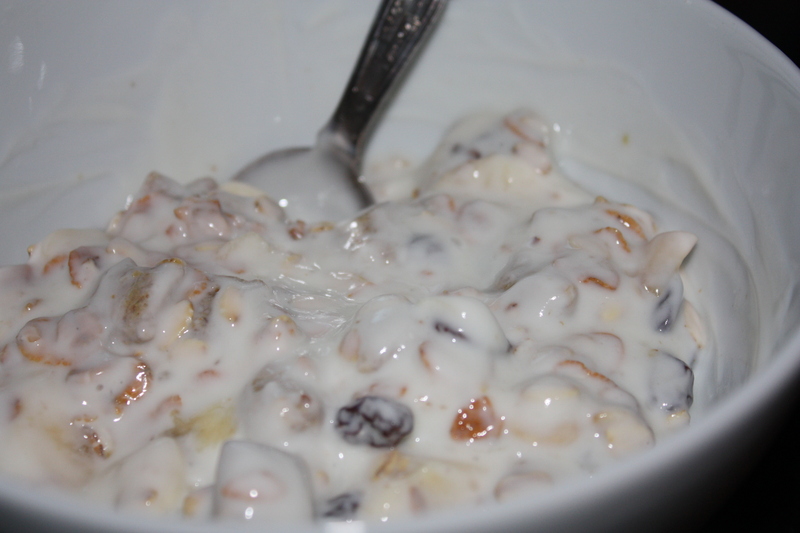 For lunch I had some yogurt with havre fras cereal and a banana. 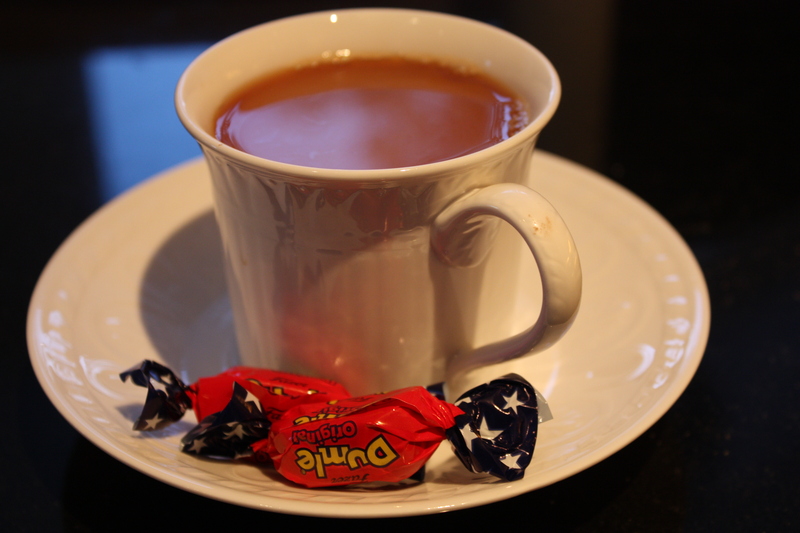 Afternoon coffee with 2 pieces of Dumle chocolate. I adore the contrast between bitter coffee and chocolate. 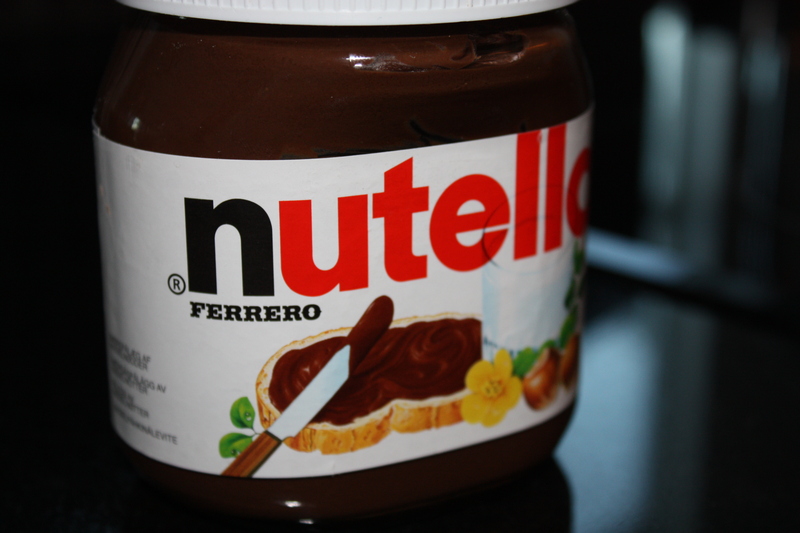 The perfect combination. I snacked on an apple while waiting for dinner, I was starving after my long walk- appx. 6 km. 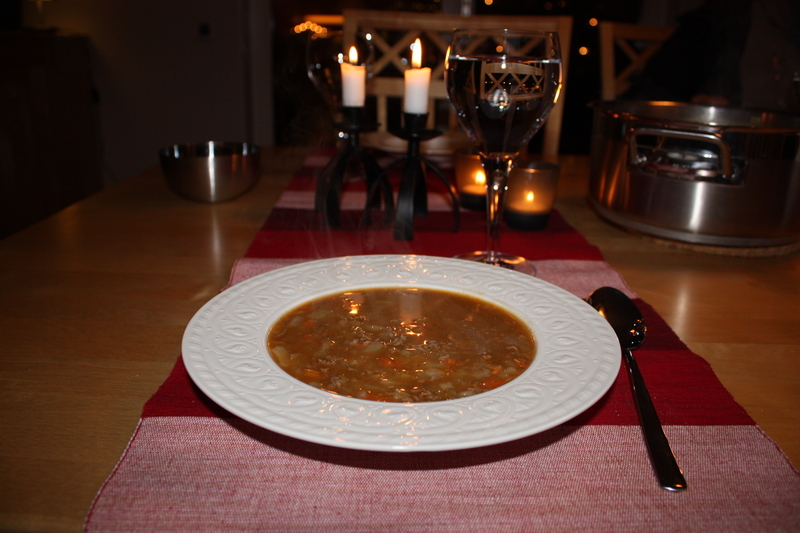 For dinner, Helena prepared a type of stew with minced beef, carrots, onions, celery and maybe potatoes? with fresh beef broth, salt & pepper. The place settings always look perfect. I think it changes the atmosphere of the dinner table tremendously. or I guess maybe svenska level 2 or 3? I am not necessarily a beginner at Swedish. I can understand about 70% of what is going on around me. But, I want to make the transition to speaking. I can speak to my husband and I can pronounce words how they are supposed to sound but I am SO nervous to speak. I am sure that is only natural when you are speaking a foreign language but it is time for me to make the switch from understanding to speaking. How am I going to do that with no formal Swedish classes? 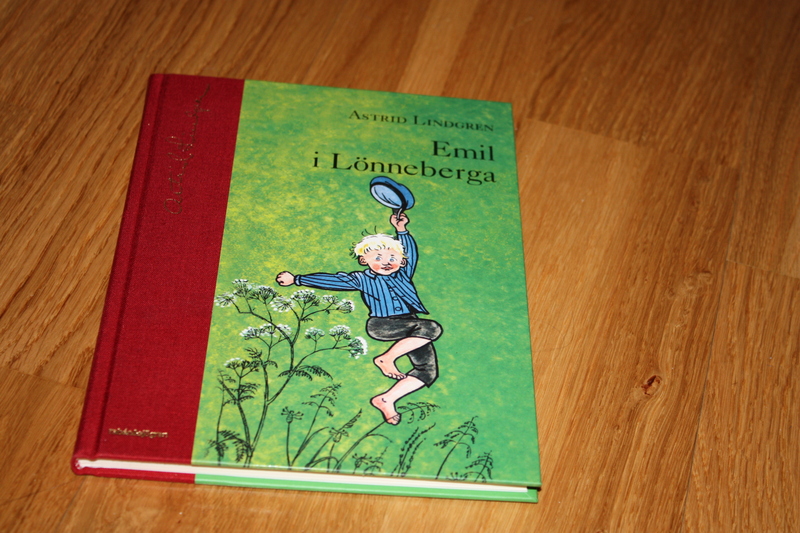 Astrid Lindgren!! 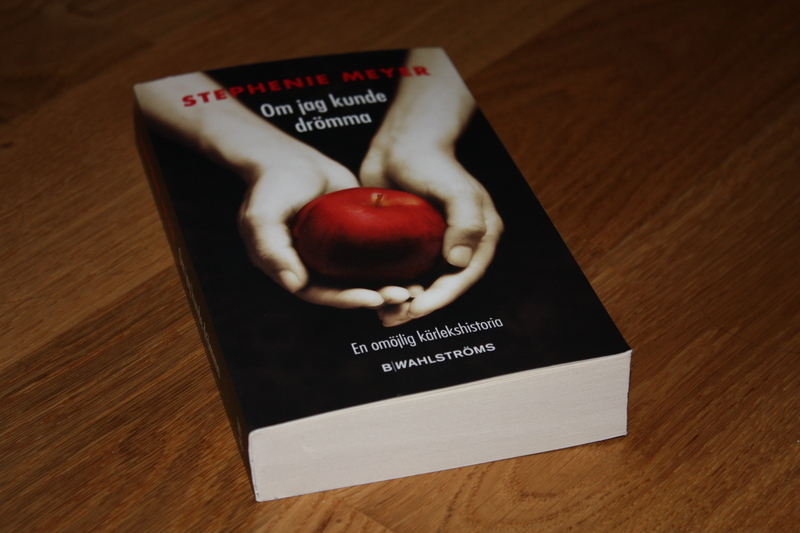 I know enough Swedish that I can read books but I may have to have the dictionary close to me. 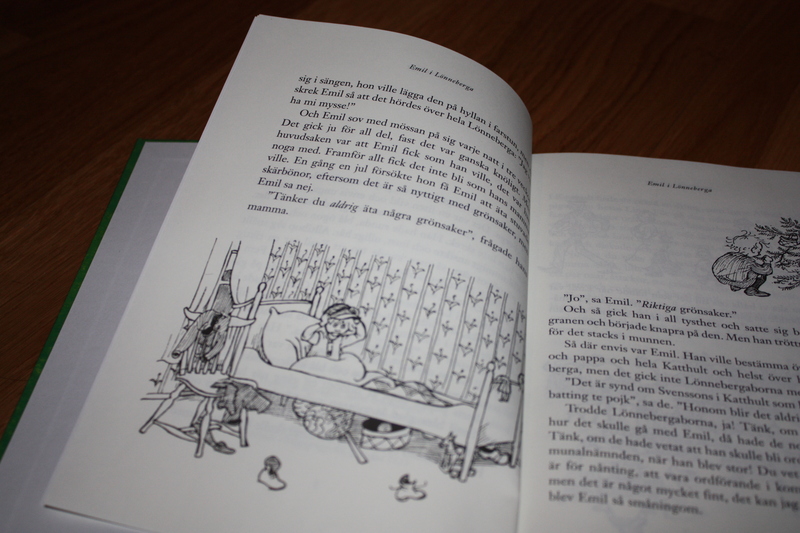 I believe that reading children’s books will enable me to learn Swedish grammar better so that I, myself, can speak. As it is now, some one can speak Swedish to me but I can only answer back in English. Along with reading books in Swedish, I am going to set aside a few hours each week that Hans and I can only speak Swedish with each other. I had such an amazing Saturday! I got to see my best girl friend that I haven’t seen in ages. She is German but studies in Sweden and we had a fantastic girl’s night cooking dinner, drinking wine and talking until the wee hours of the morning. Yes, I wore the same outfit as the other day but I only wore it for a few hours and it smelled clean so no judging on this little blog 😉 haha.. 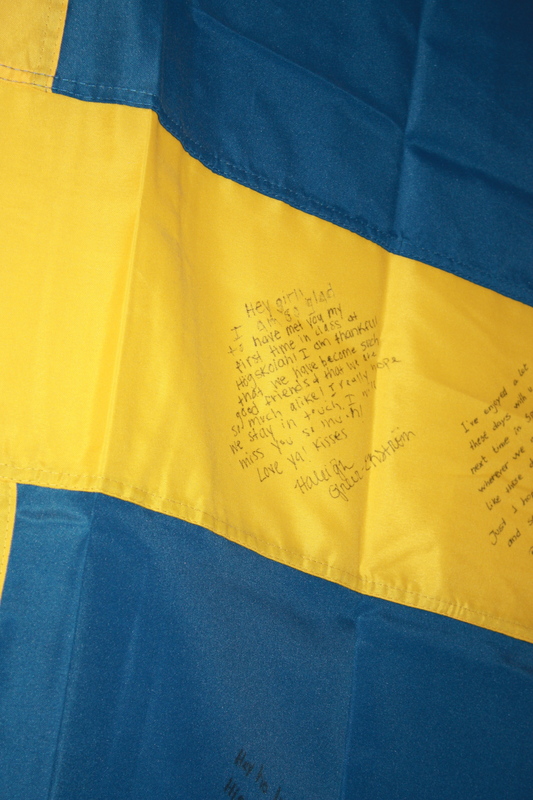 I signed Inga’s Swedish flag when I moved away and now I made a cool trend and a lot of people had signed it. We reminisced about crazy stories and we were talking about moving next door to each other so our kid’s could grow up together, hahaa.. of course, we were getting quite a bit ahead of ourselves but it was so nice to see my best friend again. I stayed at her apartment and we woke up around 11 (yes I slept in!!!!) 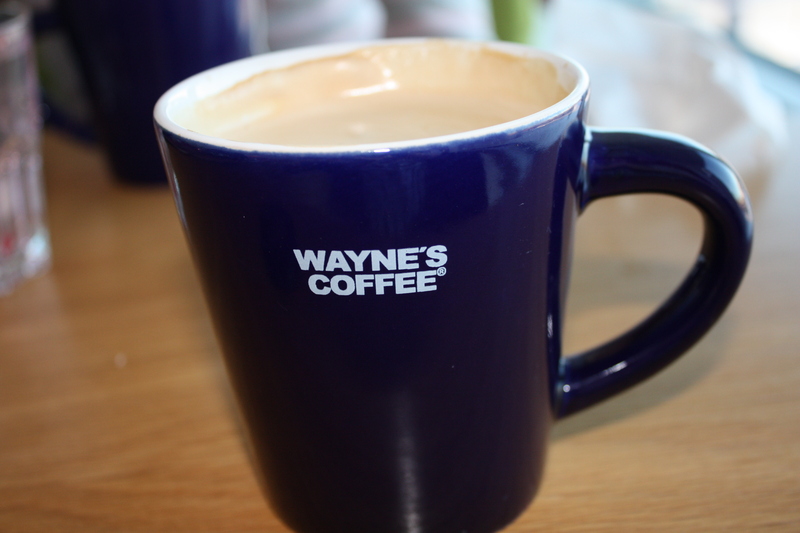 and made our way to Wayne’s coffee, which is “our place”. We always met at Wayne’s when I went to school here, it is a tradition that will be kept for a long time. 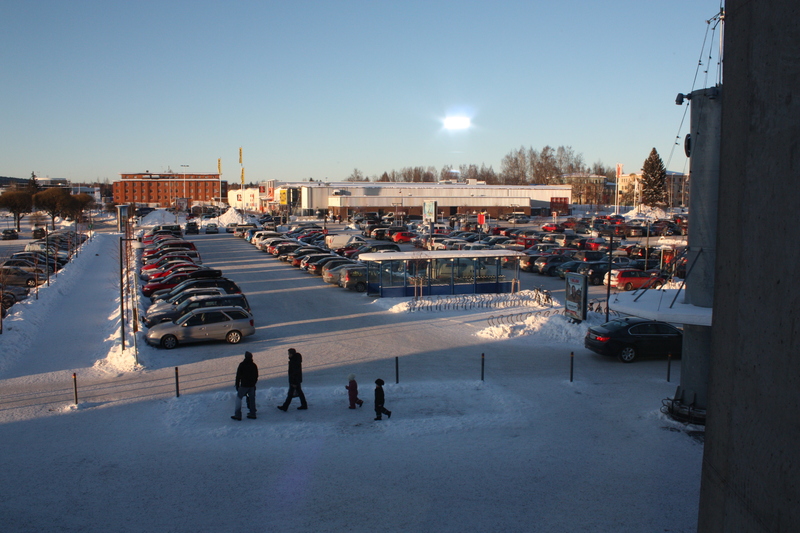 The view from Wayne’s looking over the Kupolen parking lot. Not a nice view, but I was having fun with my new camera. I got several questions yesterday regarding the yogurt that I used. Why was it in a carton? What is the consistency? It is not creamy at all. 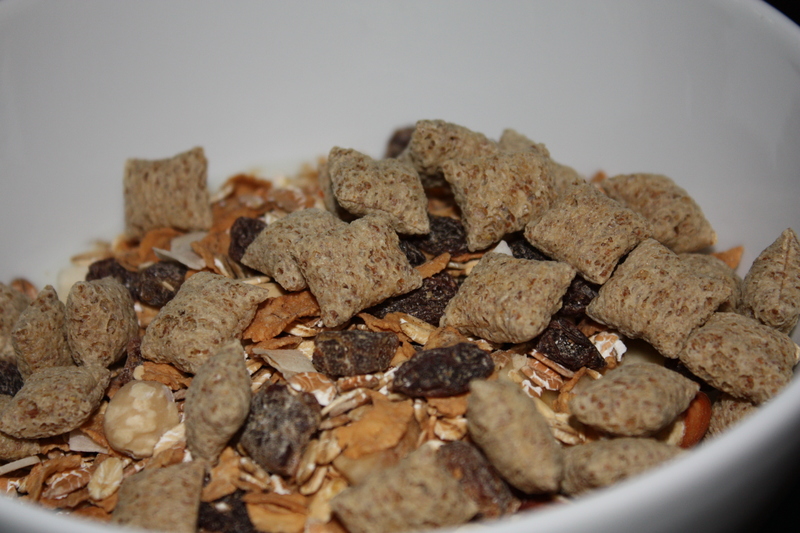 It pairs well with any type of cereal or musli and it will make the cereal become soggy if you don’t eat it fast enough. If you eat cereal with the yogurt the cereal isn’t dry at all. I had the same thing this morning for breakfast so I could take some photos for you. 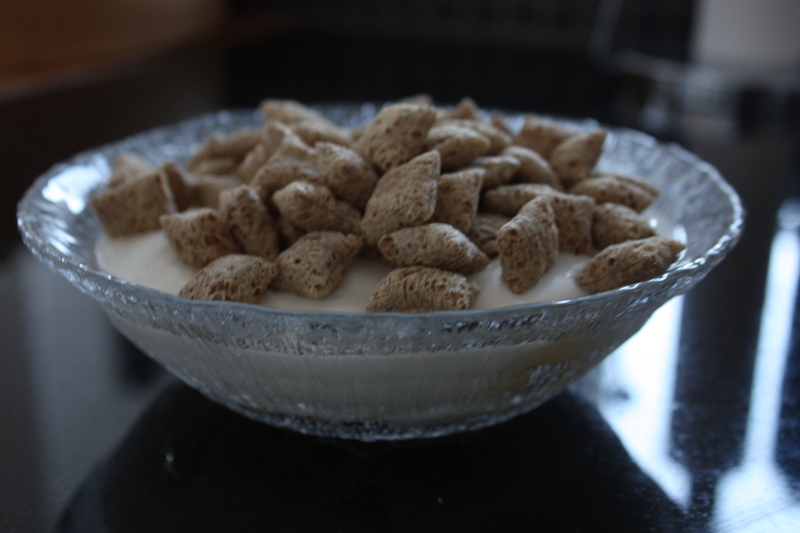 Vanilla yogurt with musli and havre fras cereal. 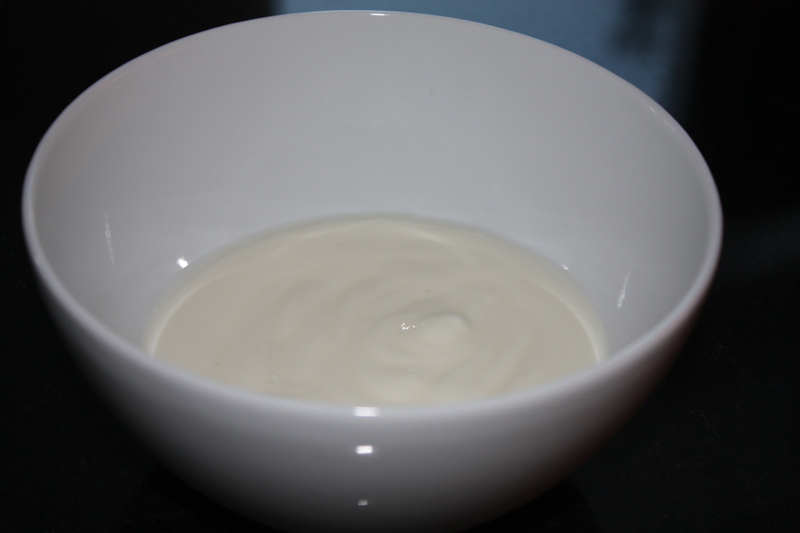 As you can see the consistency to our yogurt is much thicker than the Swedish yogurt. You can’t eat the yogurt by itself, it is like taking spoonfuls of buttermilk or something like that. I asked my mother in law and she told me they also have yoplait yogurt in individual containers but their family doesn’t eat it because it’s too sweet so it is mostly small children who like that kind of yogurt. I have a new recipe to post for you!! 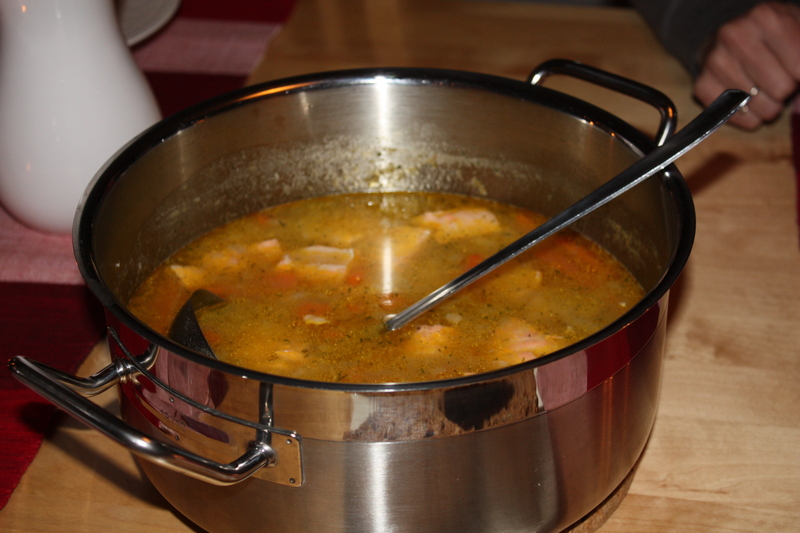 I have been eating this fish soup several times since I made it to Sweden a month ago. Water with 3-4 vegetable bouillon cubes. Use enough water just to cover all of the vegetables. Cook onion with butter first. Then boil the potatoes and carrots with the onion until the potatoes are falling apart- about 10 min. 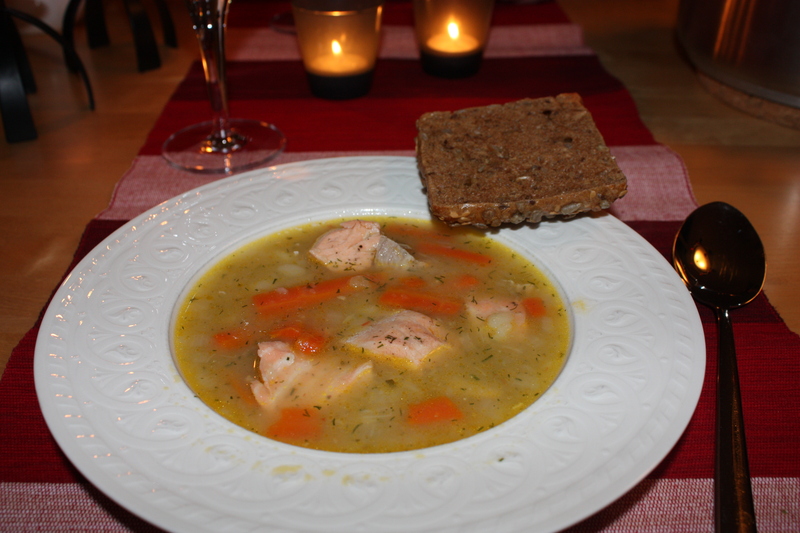 Add the salmon (seasoned with salt and the dill) to the soup after it has cooled a bit and is not boiling and cook through- about 5 to 10 minutes. 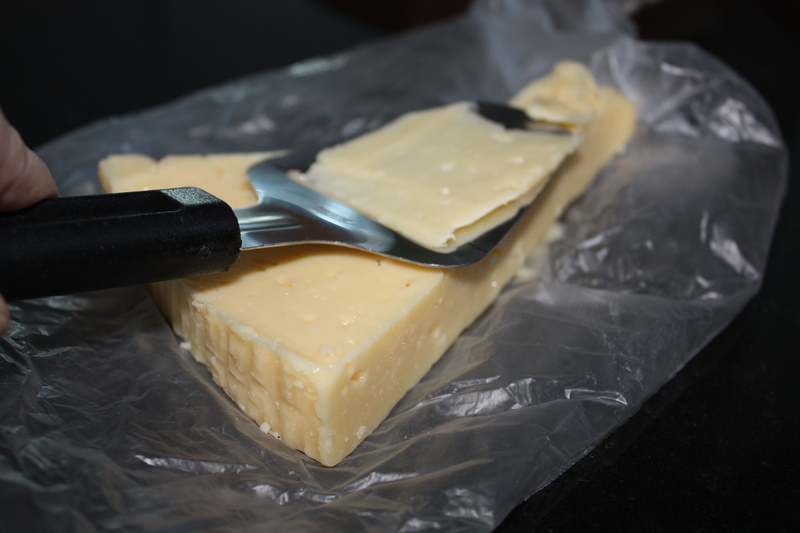 Add a little bit of milk or cream for a creamier consistency, if you wish. This soup could be my favorite soup recipe if you don’t count chili as a soup 😉 It turns out tasting different every time by how much vegetables, different spices and how much milk and vegetable bouillon that you use. I hope that every one has a fun weekend planned! I get to spend it with one of my best friends!!! 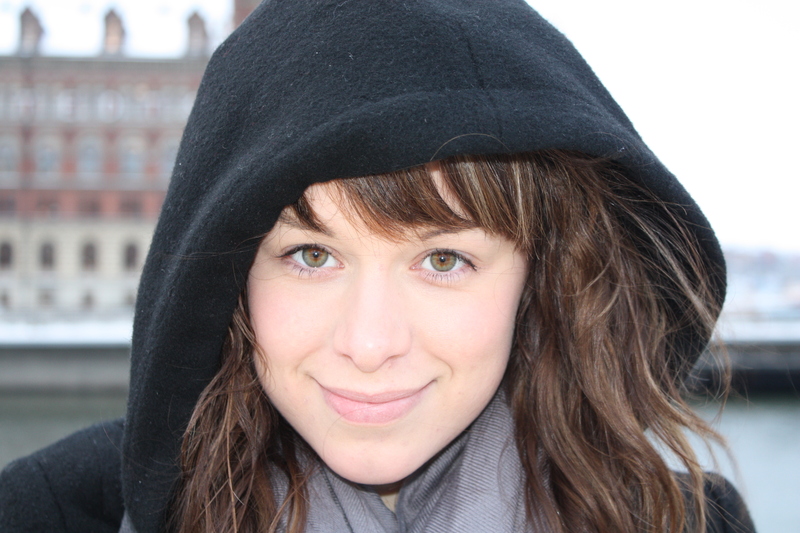 She is German and I haven’t seen her in such a long time. Inner Wellness · The path toward satisfaction.